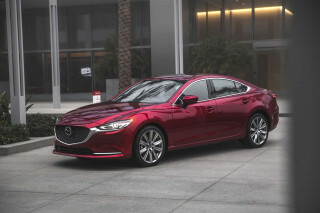 The low-end 2013 Legacy sedan, with a 2.5-liter four and six-speed manual, offers a sporting sedan feel for many thousands of dollars less than similarly-sized German competitors--if you're OK with the straightforward interior. 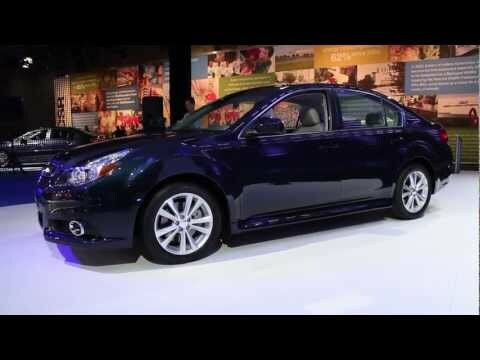 The 2013 Subaru Legacy retains its unique position as an affordable, fun-to-drive mid-size sedan with standard all-wheel drive--and adds some standout safety technology. The Subaru Legacy mid-size sedan is already entering its fourth year since a major redesign, but it's received some significant updates for 2013, with a new, more fuel-efficient four-cylinder engine, along with a handful of new active-safety features and improved refinement. While the Legacy doesn't stand out in styling or design, it handles well, has a spacious interior, and is the only competitor in the segment with all-wheel drive standard at every trim level. 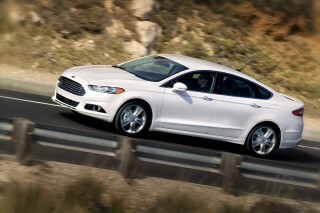 It's also one of the highest-mileage mid-size sedans with AWD. Outside and in, the 2013 Subaru Legacy is about the same size as the volume leaders in the mid-size sedan market, including the Honda Accord and Toyota Camry. The styling favors a blocky front and exaggerated wheel arches, similar to the Outback wagon but more muted, and wheels aside, you won't see much difference between base 2.5i models and the high-end Premium trim level. Inside, we like the simple, straightforward dash and switchgear layout, with nice, round gauges and the audio system placed high in the center stack, between vents that almost echo the upward "winged" design motif of the headlights and grille. For 2013, Subaru has added new dark glossy wood trim for an upscale touch. 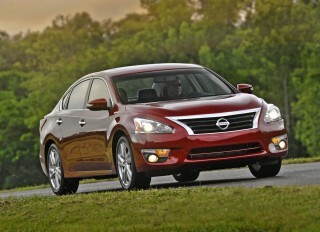 The two engines give the 2013 Legacy two distinctly different personalities. The base 2.5i models are sensible, frugal, and nimble, but not enormously exciting. The six-cylinder 3.6R, on the other hand, is smooth and powerful, and in the high-level Limited trim, pits the Legacy into more luxurious competitors--where its straightforward interior and somewhat limited equipment may prove a handicap for some buyers. The turbocharged four that's been optional in past year and has given the Legacy some of the flavor of the WRX is gone this year. Handling has always been a strong point for Subaru, and the Legacy sedan sits on the sporty side of the scale among mid-size sedans. Dropped closer to the ground than the high-riding Outback wagon, it corners flat and sticks well, with precise and responsive steering. The heavier six in the 3.6R definitely changes the handling, with that model feeling more nose-heavy in tight corners versus the better balanced and lighter 2.5i. And for 2013, Subaru has retuned the suspension for even better agility while reducing noise and smoothing the ride over lumpy pavement. Four full-size adults can travel in comfort all day long, and the Legacy's access to the rear seats through wide-opening doors is particularly good. The front seats are among the best in the class--even those in the base model, which are covered this year in new and more upscale seat fabric--and have long lower cushions, an area in which some sedans cheat for extra legroom. 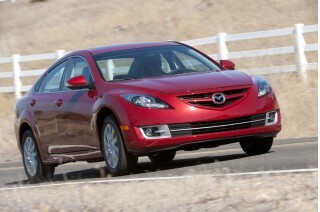 The ride is firm but just supple enough for most surfaces, and the cabin is as quiet as most affordable mid-size sedans. The trunk is surprisingly spacious too. For 2013, Subaru has added more premium appeal with both rear-seat air-conditioning ducts and electroluminescent gauges in the Limited models. The Legacy's all-wheel drive system is an asset on snowy and rainy highways; but on top of that it includes several key active-safety options. With a new, optional EyeSight system for 2013, a stereo camera system provides adaptive cruise control, lane-departure warning, and pre-collision braking. The 2013 Subaru Legacy comes in three trim levels: base, Premium, and Limited. Standard features in all Legacy sedans include automatic headlights, steering-wheel switches for the audio system and cruise control, a folding 60/40 split rear seat-back, and Subaru's characteristic Hill Holder system, which sets the brakes when the car comes to a stop on a slope until the driver accelerates away. The standard audio system has four speakers and, for 2013, adds Bluetooth pairing for hands-free mobile-phone use and audio streaming, a USB charging port, and iPod control. At the top of the range, the Limited models add to that leather upholstery, dual-zone climate control, an All-Weather Package (optional on Premium) that bundles de-icing wipers and heated mirrors and front seats), four-way power adjustment for the front passenger, and a Harman/Kardon nine-speaker audio system with satellite radio, a 440-Watt amplifier, and a 4.3-inch display screen. 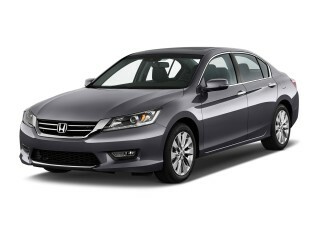 Options include a power moonroof and an in-dash GPS navigation system with real-time traffic data. The 2013 Subaru Legacy is nicely detailed inside and out--although not everyone may be a fan of the exaggerated wheel arches. Outside and in, the 2013 Subaru Legacy is about the same size as the volume leaders in the mid-size sedan market--including the Nissan Maxima, Honda Accord, and Toyota Camry--but its design is hardly daring, and it looks conservative next to radical designs like the new Ford Fusion or even the Hyundai Sonata. 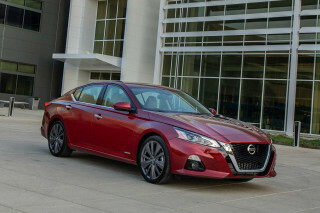 The Legacy's exterior is nicely proportioned and has smooth sheetmetal that avoids the aggressive side creases and dual-level front grilles and rear taillamps, though it does have exaggerated wheel arches and two subtle character lines. One runs from the edges of the winged grille (outlined in chrome) into the hood, ending at the front pillars; the other defines the beltline by running from the ends of the swept-back headlights along the sides, arching over the front wheelwell and continuing the length of the car. Otherwise, if you can look beyond relatively simple wheel and trim differences, you won't see much difference between base 2.5i models and the high-end Premium trim level. We like the straightforward dash and switchgear layout, with nice, round gauges. The audio system is placed high in the center stack, between vents that almost echo the upward "winged" design motif of the headlights and grille. It's a more restrained version of the sweeping interior design launched several years ago on the Tribeca crossover, and carried through to the current Forester crossover. For 2013, Subaru has added new dark glossy wood trim for an upscale touch. The Legacy has surefooted handling, all-wheel drive, and accurate steering--all of which add up to a confidence-building driving experience. The 2013 Subaru Legacy is no performance sedan; but its horizontally-opposed "boxer" engines, standard (and excellent) all-wheel-drive performance, and responsive handling add up to a very engaging driving experience. The turbocharged four that's been optional in past year and has given the Legacy some of the flavor of the WRX is gone this year, leaving just two engine options. The first is an all-new 173-horsepower horizontally-opposed four-cylinder, with a broader torque curve for better drivability, so its just a bit perkier where it counts, especially with the Lineartronic continuously variable automatic transmission (CVT). Subaru's CVT is easier to live with than other CVTs, and its ratings of 24 mpg city, 32 mpg highway are superb for an AWD car. The six-speed manual version feels a little more athletic and fun, but mileage ratings are a bit lower. 2013 Legacy models with the 3.6R designation get a carryover 3.6-liter flat six that produces 256 hp, paired with a five-speed conventional automatic transmission. 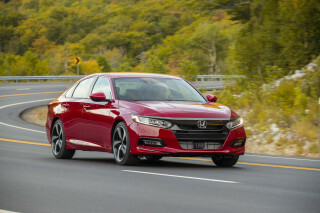 Overall, these models are smoother and more refined, yet not quite as quick as a V-6 Accord or Camry (the turbo four had been quicker), and quite a bit thirstier. Handling has always been a strong point for Subaru, and the Legacy sedan sits on the sporty side of the scale among mid-size sedans. Dropped closer to the ground than the high-riding Outback wagon, it corners flat and sticks well, with precise and responsive steering. We have at times called the steering a touch over-boosted, but it works well with the suspension, which is firm but compliant. The heavier six in the 3.6R definitely changes the handling, with that model feeling more nose-heavy in tight corners versus the better balanced and lighter 2.5i. For 2013, Subaru has retuned the suspension for even better agility while reducing noise and smoothing the ride over lumpy pavement. The company says it has reduced body roll in turns by up to 40 percent. Interior materials feel somewhat plain compared to other some other sedans in this class, but the ride quality is refined and comfortable. For occupants and their gear, the latest Legacy offers lots of room, combined with a refined ride, although interior materials are a weakness compared to most of its competitive set. The 2013 Legacy can easily accommodate four full-size adults in comfort, even during a long road trip, and there's enough legroom and headroom for taller riders in back. As well, rear doors open with a wide opening that makes getting in and out especially easy. The front seats are among the best in the class--even those in the base model, which are covered this year in new and more upscale seat fabric--and have long lower cushions, an area in which some sedans cheat for extra legroom. Ride quality in the Legacy is firm but just supple enough for most surfaces, and the cabin is as quiet as most affordable mid-size sedans, with potholes, road-surface imperfections, and general coarseness mostly filtered out. With eight cup holders, cubbies in the doors, map pockets and console bins, and an overhead console for sunglasses on all models, there's also plenty of space for smaller items, and the trunk itself is quite spacious. Our one concern with the Legacy is the plainness of some interior materials. Subarus have never been the most luxurious of vehicles; there's a profusion of hard plastic that works fine on the base model, but the much more expensive 3.6R doesn't quite feel appointed in a way that matches its premium price. We've found build quality to be excellent, however. Crash-test ratings for the 2013 Subaru Legacy aren't perfect, but responsive handling and surefooted all-wheel drive help make up for that; so does a new EyeSight suite of active-safety features. The Legacy's all-wheel drive system is an asset on snowy and rainy highways; but on top of that it includes several key active-safety options. With a new, optional EyeSight system for 2013, a stereo camera system provides adaptive cruise control, lane-departure warning, and pre-collision braking. The suite of 'driver assist' features can greatly increase safety and perhaps cut the chances of an accident. For instance, EyeSight can detect pedestrians or objects in the vehicle path and activates the brakes to come to a complete stop if the speed is about 19 mph or less. At speeds above that, the system can help reduce the speed (and force) of impact. Also, Lane Departure and Sway Warning helps remind the driver if they may be distracted or drowsy, while Adaptive Cruise Control lets you set a designated following distance. The Legacy has for years been a safety leader, but it's no longer at the top in all tests. The Insurance Institute for Highway Safety (IIHS), has given the Legacy its top rating of 'Good' across all categories--including front, side, and rear impact tests, plus the roof strength test. For 2013 it earned an 'acceptable' rating in the new small overlap frontal test, but that still earned it the new IIHS Top Safety Pick+ designation. In the federal government's NCAP tests, the Legacy has earned four out of five stars for front impact, and five of five stars for rollover safety, but it hasn't been given an overall test because of the lack of side-impact results. The 2013 Subaru Legacy doesn't at all skimp in general safety features either; front and side airbags, side-curtain airbags that cover the window opening, anti-lock brakes, brake assist, and electronic stability control are all standard. The electric parking brake also provides a Hill Holder system that prevents the car from rolling when starting on steep inclines. The 2013 Subaru Legacy is a strong value—and that's not just because of its standard all-wheel drive. 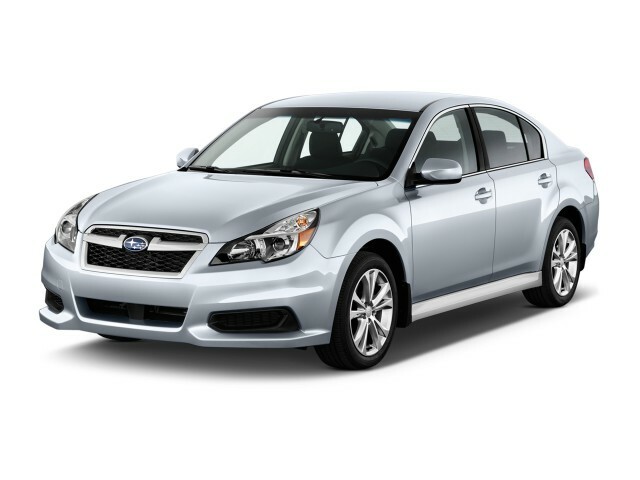 The 2013 Subaru Legacy comes in three trim levels: base, Premium, and Limited. All three are available with the new 2.5-liter four, while the six can be ordered with base or Premium only. Standard features in all Legacy sedans include automatic headlights, steering-wheel switches for the audio system and cruise control, a folding 60/40 split rear seat-back, and Subaru's characteristic Hill Holder system, which sets the brakes when the car comes to a stop on a slope until the driver accelerates away. The standard AM-FM-CD audio system has four speakers and, for 2013, adds Bluetooth pairing for hands-free mobile-phone use and audio streaming, a USB charging port, and iPod control. Moving up to the Premium mid-range level (on the 2.5i only) adds the CVT as standard, along with a 10-way power adjustable driver's seat, 17-inch alloy wheels, leather coverings for the shifter and steering wheel, dash-mounted tweeters, and a few other amenities. At the top of the range, the Limited models add to that leather upholstery, dual-zone climate control, an All-Weather Package (optional on Premium) that bundles de-icing wipers and heated mirrors and front seats), four-way power adjustment for the front passenger, and a Harman/Kardon nine-speaker audio system with a 440-Watt amplifier and a 4.3-inch display screen. Satellite radio is also standard with this system. For 2013, Subaru has added rear-seat air-conditioning ducts and electroluminescent gauges to the Limited models. 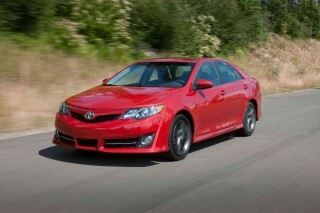 Options include a power moonroof and an in-dash GPS navigation system with real-time traffic data. 3.6R versions of the Legacy aren't very fuel-efficient, but 2.5i versions get good gas mileage compared to other all-wheel-drive cars. With 2013 Subaru Legacy 2.5i models getting a new-generation version of the 2.5-liter four-cylinder engine, fuel economy figures are up this year by 1-2 mpg on all the 2.5i variants--to as much as 24 mpg city, 32 highway with the Lineartronic CVT automatic. Manual versions of the 2.5i model get 21/28 mpg, while six-cylinder 3.6R models achieve 18 mpg city, 25 highway. 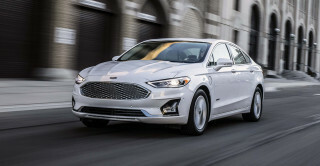 These numbers have some good and some bad; 2.5i models are the most fuel-efficient all-wheel-drive models in this class, while 3.6R models end up being among the thirstier six-cylinder mid-size sedans.